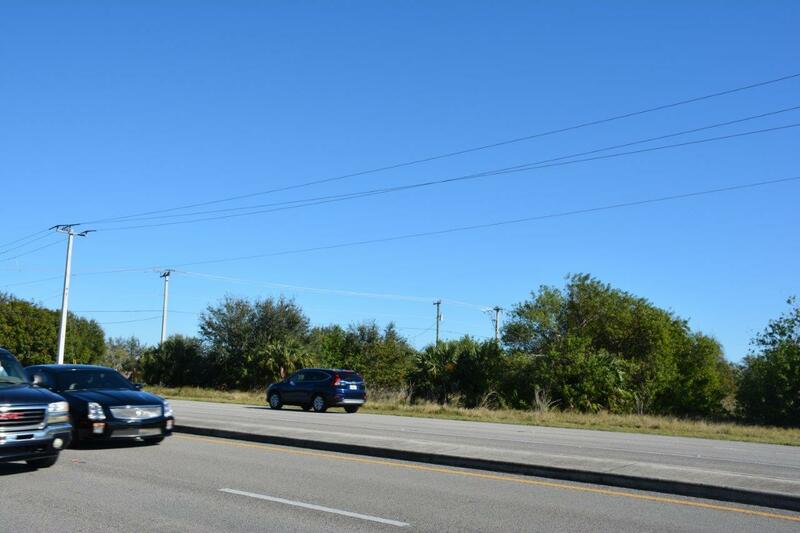 This is an outstanding residential and commercial development property located in an active area of US1 in Vero Beach. The zoning and location provide an ideal property for single family, mixed use, or multi-family development. Commercial corner totaling 1.8 +/- acres allows for convenience store usage or additional multi-family zoning of 8 units/acre. 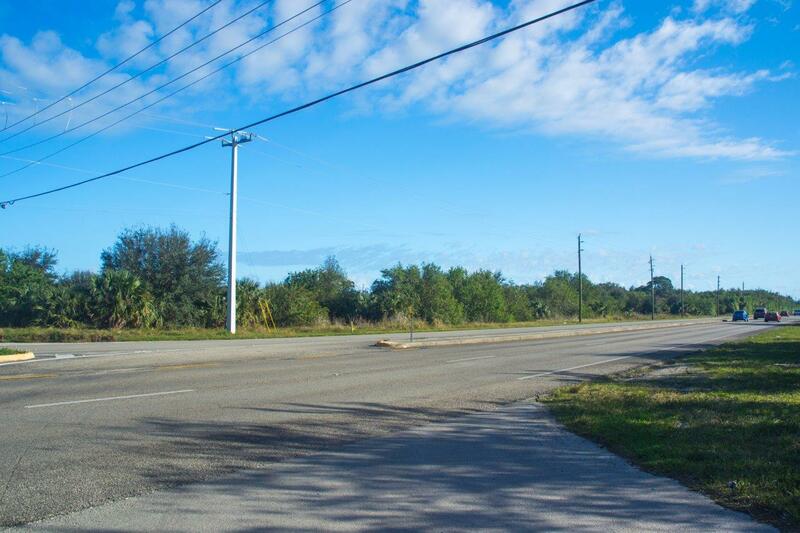 The adjacent 5+/-acres are for sale as a separate purchase to create a larger footprint if desired. The site plan includes a 2.9 +/- acre preserve and retention area. 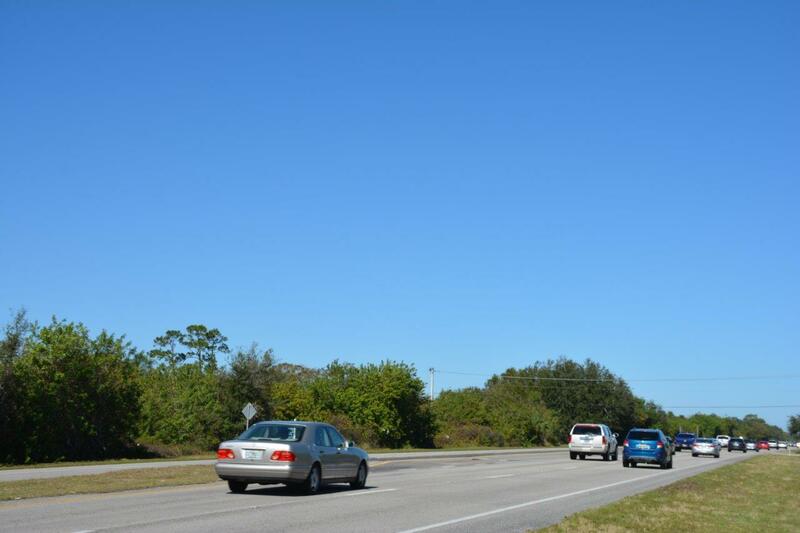 A draw to the property is the convenient US1 location that provides easy access to golf courses, public beaches, and is only 1.25 Miles to the new Publix shopping center. 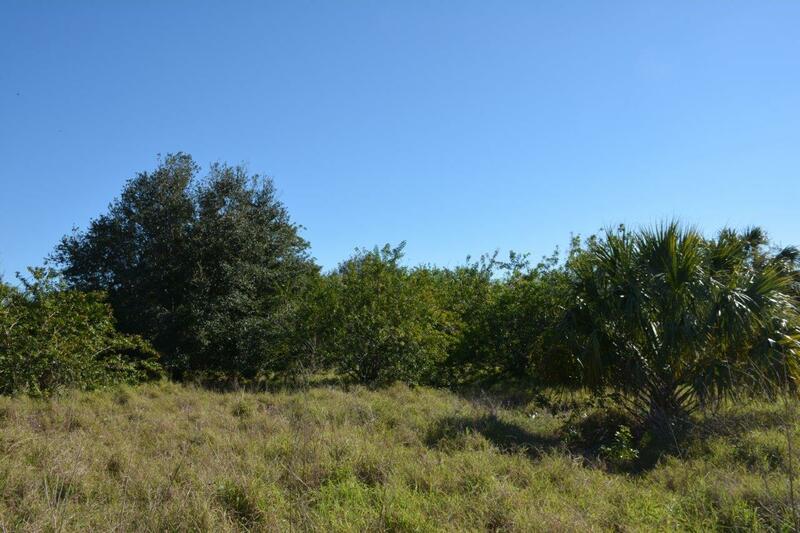 Description: Located in an area of upscale priced homes on the mainland of Vero Beach, the property is adjacent to DR Horton’s Antilles Development to the north and close to Grand Harbor Development to the south and east. 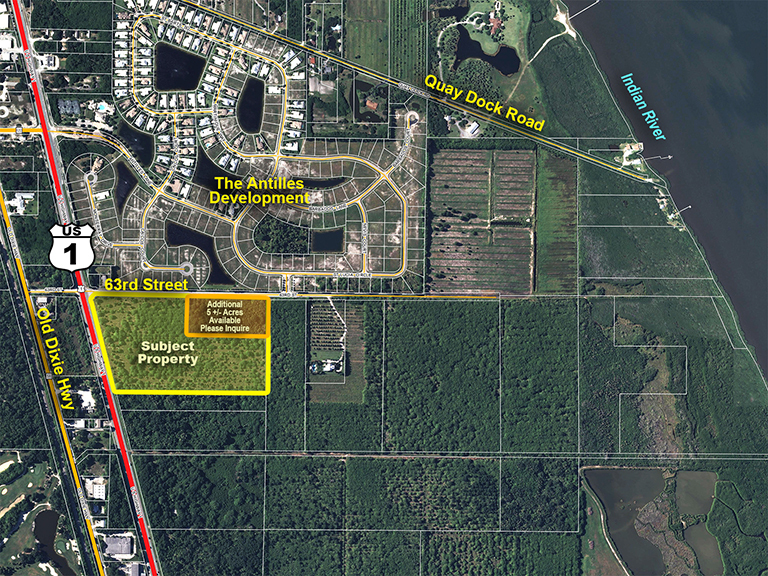 To the southwest is Waterway Village, a large Pulte Development.